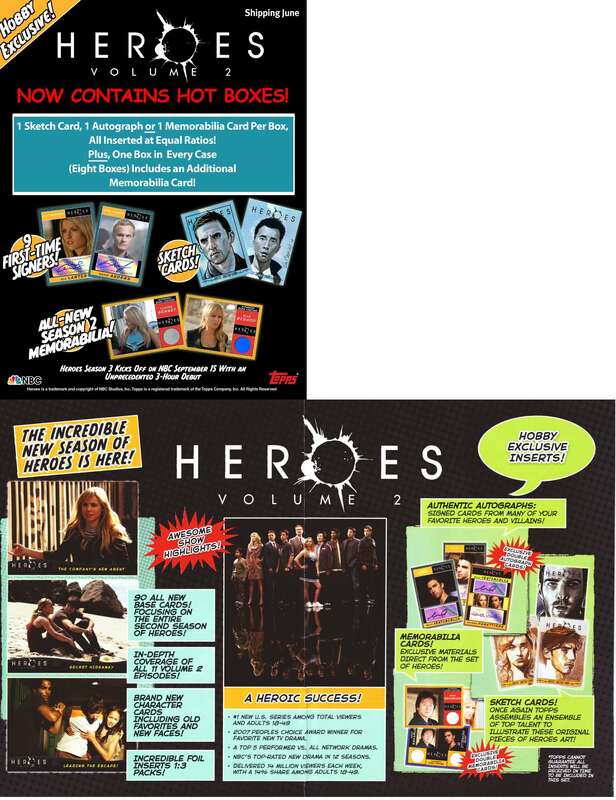 Each hobby box includes 1 Autograph, Sketch, or Memorabilia card (based on estimated production levels, and may vary from insertion rates printed on packaging). 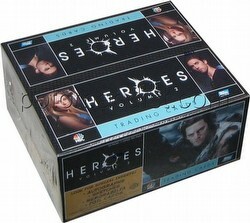 The 90-card base set focuses on the entire 2nd season of Heroes. Inserts include foil cards, hobby exclusive Sketch cards, hobby exclusive Memorabilia cards, and hobby exclusive Autograph cards.